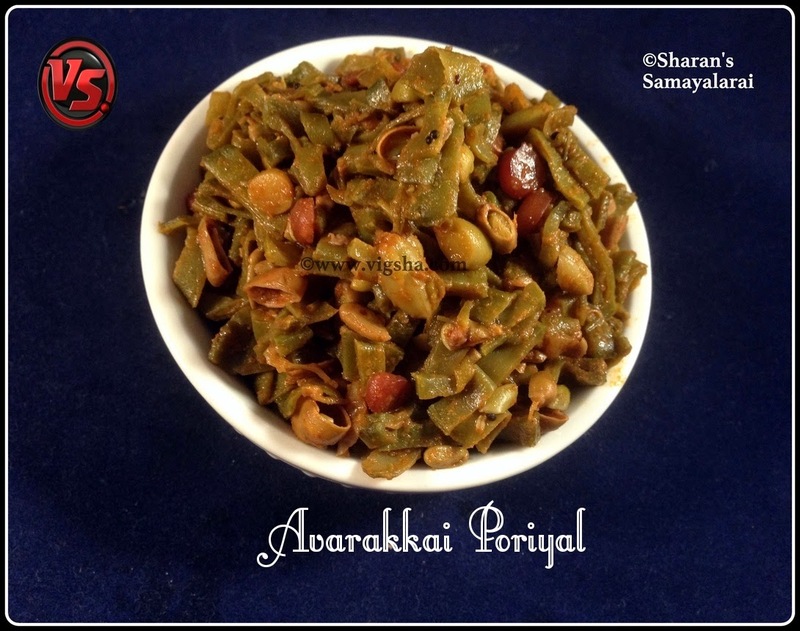 Avarakkai Poriyal is a popular South-Indian Poriyal. Avarakkai is a good source of proteins and fiber. This poriyal goes well with sambar and rasam varieties. 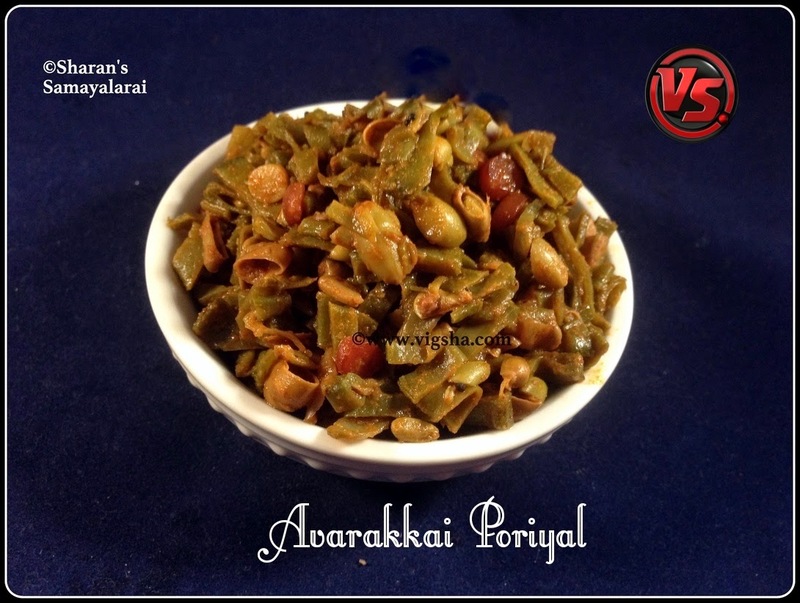 I have already posted the recipe for Avara Kottai Poriyal using the matured avarakkai. Today I am going to post the recipe for tender ones. 1). Wash and clean the Avarakkai. Trim the ends and chop it. If there are matured ones, remove the seeds and discard the skin. Keep it aside. 2). Heat oil in a pan, add mustard and let it splutter. Then add urad dal and channa dal saute till turns light brown. Then add onions and fry till it turns translucent. Then add turmeric powder, chilli powder and salt, mix well. 3). Add the chopped broad beans along with a cup of water. Cook till it becomes tender and there is no more moisture left in the avarakkai. Switch off the flame. Serve this with Sambar, Kuzhambu, Rasam or Thayir Sadham.